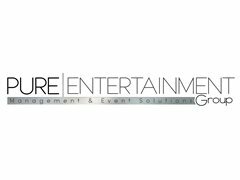 Pure Entertainment Group are holding auditions for entertainers to join our expanding company. We have audition dates coming up very soon. Date: 21st and 22nd January 2019. You will be taught 1 or 2 short routines and cut down to a remaining few before the end of the auditions. Please bring and prepare 2 contrasting songs. Bring your tracks on any device, CD or memory stick. You will be asked to prepare and host a short game to the audience, taught a party dance and also asked to perform a short piece of script which will be given to you on the day. We are also very keen to have speciality performers working with us too, so if you have any speciality skills please bring with you any equipment you may need to perform on the day. Please check in at our registration desk 30 minutes before the audition is due to start and bring a printed copy of your CV and headshot if possible. Thank you for your interest, and we look forward to seeing you on one of the audition dates! Flamingo Land Resort contract- February until November. Pure Entertainment Group performers- From February. Coat style entertainers required for North Yorkshire holiday park, Flamingo Land Resort. North Yorkshire based actors required.